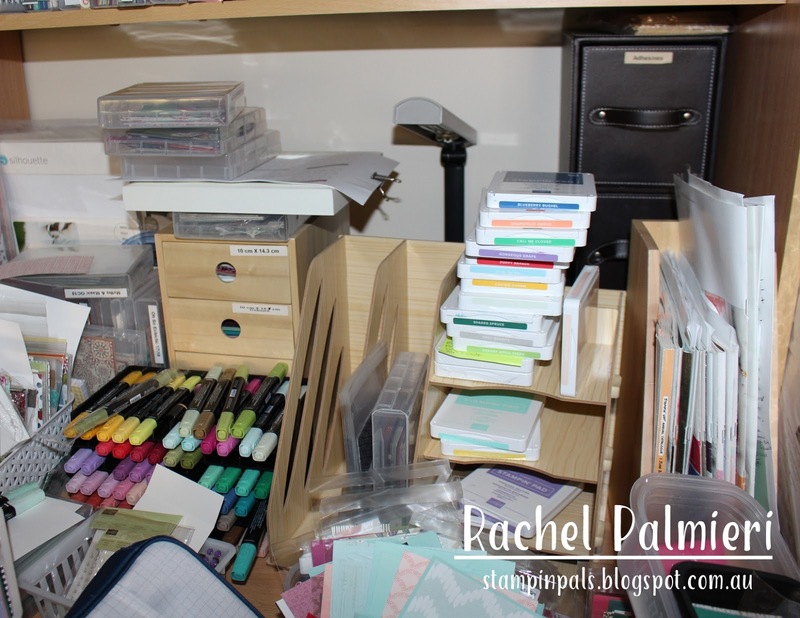 For some time now I have been looking for a solution for my storage problems, not that they are ever sorted due to continually adding to my stash! Ehen Stampin' Up! announced this storage system, I decided that it was probably the more suitable choice for my space because of its flexibility. The modules can be stacked and arranged in any configuration you choose, and additional pieces can be ordered as your supplies increase. Above you see a before picture of my craft desk - kind of chaotic! I also have a table in the middle of the room which also gets stacked very high and has to be tidied for classes. I am not very good at putting things away as I go. 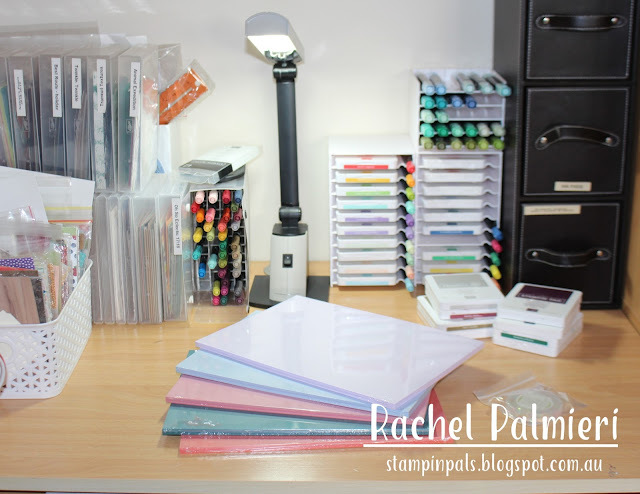 Yesterday I arrived back from the Stampin' Up! convention and catalogue release in New Zealand, to find a large box awaiting. A lot of it was new product released from the upcoming catalogue (June 1st, but you can ask for your name to be placed on the list for a new catalogue now) and some storage solutions as well. 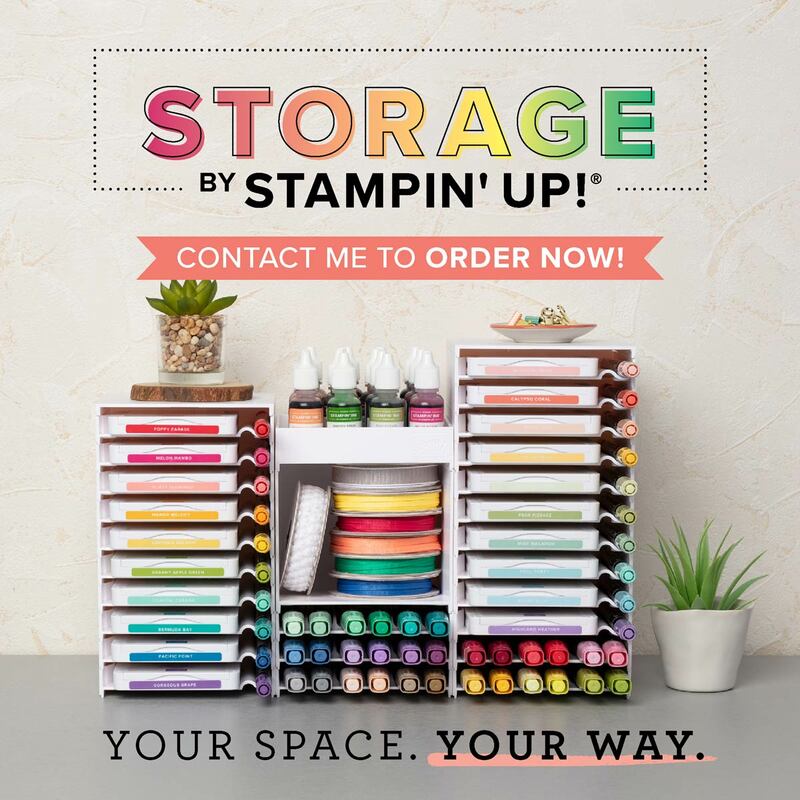 Unfortunately, the open storage units will not be back in stock until June, and the stamp and marker storage is out of stock too. I didn't order enough of them, nor Blends storage. I will place another order on May 1st, but doesn't it look nice and organised in my picture below? You can shop for supplies if you live in Australia, and use the Host Code for your order less than $250 and I will share the benefits with you. 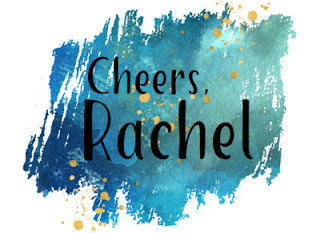 If your order reaches $250, you will get Host benefits all to yourself, beginning at 10% so you could get one or two more items on your wish list for free! Click on any of the following products and it will take you to that item in my store. P.S. The stampin' Trimmer and Big Shot die/cutting and embossing tool, along with all accessories such as blades for the trimmer, and magnetic plate for the Big Shot, will be leaving our product line at the end of this catalogue (May 31st). They are offered only until supplies in the Australian warehouse run out - some already have - so you need to get online to make your order if you were wanting those items from Stampin' Up! Deis and embossing folders continue to be a part of the products we provide in our fully coordinated range of stamps, card and ink. You could also sign up to my team, the FUNdamentals, to order those items and for a 20% discount on your future orders, (or just for a once off order if you decide it's not for you). You choose $235 of product, but $169 is charged to your credit card. You can ask me questions, or check out more at this link.